I enjoyed this from a refrigerated bottle – it’s very clean and has a wonderfully balanced hoppy and dry/bitter taste. It was one of those beers that I just couldn’t stop drinking – a truly modern IPA that has to be up there with the greats. Also, for me it has a much better and “well engineered” perfect balance that beats many of its peers. It’s a must try IPA. Brunel and his fellow engineers challenged our sense of what was possible, and in doing so changed the face of the world. 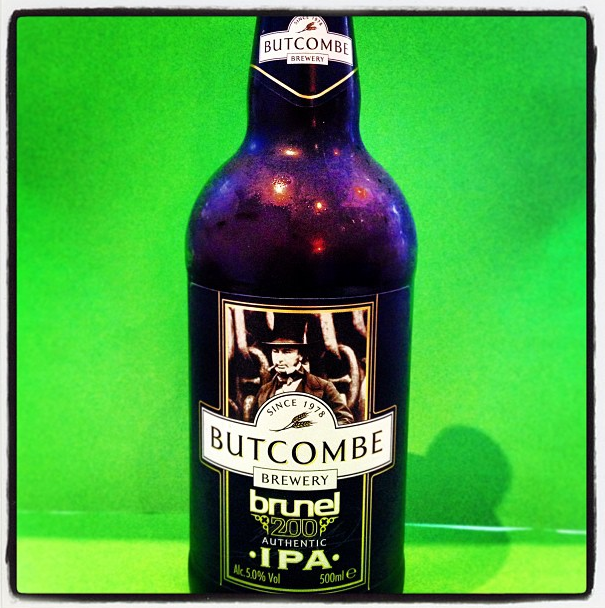 Brunel IPA is a clean tasting, dry and hoppy, authentic recipe India Pale Ale. Amber in colour, full bodied with a bittersweet finish…perfectly engineered!